The phone-based application is downloaded onto a handset and it then determines the location of the phone/user through the phone’s GPS. The app then displays local locations and enables an action which the user can take called “checking in”. This “check-in” can then be amplified through Twitter and Facebook. And as usual, ruffle some privacy feathers while they’re at it. On the 18th of August, Facebook announced the arrival of Facebook Places. This is a strong indication that Facebook is set on taking on new kid on the social block, Foursquare. Facebook Places allows registered users to ‘check in’ to bars, pubs, clubs, shops or petty much anywhere else they care to mention and displays this information to other users. Indeed, with the correct permissions, it even allows your friends to ‘check you in’ without you even knowing. Facebook herald this addition as an enhancement to their original offering of Who, What, When….and now Where. Their argument is that people are already sharing this data and that all Facebook Places offers is an effective method to distribute this information. Facebook Places is currently only available on iPhones. For the first time in four years, Twitter has undergone a face lift. This new transformation is only available to a select few for the moment but word on the street has it, the new interface will have a split screen showing tweets on one side and embedded content for the other. This embedded content will be provided by the 16 photo and video sites with which Twitter has been partnered. The re-design is set to change the way that users tweet too – with new user mini-profiles, related content and added detail panes sliding into view to supplement 140 character-long bursts of Twitter chatter. Reactions are mixed from the social media dons with some saying the new layout will make Twitter more difficult to use and other saying the new application is the slickest on the web yet. Either way, when the new facelift rolls out fully later this month, it is sure to cause quite a flap! Ok, it’s a press release, but an interesting one I thought. Basically, National Library Scotland has teamed up with EDINDOCS (Edinburgh’s documentary film festival) and say they’ll forever archive the winners’ documentary so their work can be accessed ‘in perpetuity’ (that’s forever to you and me). AND the winners will get £250 for their troubles. Not bad all round me thinks! Anyway, enough of me blabbering, read on for the details and how to enter. The National Library of Scotland, home to the Scottish Screen Archive, has developed a partnership with EDINDOCS, Edinburgh’s new documentary film festival, and will provide two documentary makers with a unique opportunity. EDINDOCS aims to bring quality independent film to Scotland’s capital, showcasing fresh new talent in a city renowned for its culture by screening 25 of the finest new documentaries during its debut three day festival this month. As the official sponsor of the ‘Best Documentary’ category, the Library is supporting a fantastic prize for the top two documentaries (short and feature-length) – the films will be given pride of place in the prestigious Scottish Screen Archive to be accessed in perpetuity. Furthermore, the award-winning films will be shown on public screens in the National Library’s George IV Bridge building in Edinburgh for an entire week, and the documentary makers will receive £250. Martyn Wade, National Librarian and CEO of the National Library of Scotland, said: “We are delighted to help promote the art of documentary-making through our sponsorship of EDINDOCS. Stuart McInnes, organiser of EDINDOCS, said there were surprisingly few opportunities for aspiring documentary-makers – particularly independents – to showcase their work, and hopes the festival will help to open doors for them. He said: “EDINDOCS is not exclusively for independent filmmakers but it does provide a new platform for them, which they desperately need. While we’re on the topic of Apple, the recent decision of Apple to issue out cases to all the people who bought the latest iPhone 4 isn’t that unusual when you consider they already caved to public peer pressure about the cost of the iPhone way back in 2007 (thanks Pete for the reminder!). Though officially it was advertised as a holiday promotion, and a new iPhone was due out only 5 months later, the important thing to take from this is that early adopters got a $100 rebate, but only after they kicked up a fuss like a squeaky wheel with rusty hinges. That seems (to me at least) have been what has happened in the recent iPhone 4-gate. From all accounts (i.e. the three people I spoke to at the recent Edinburgh Coffee Morning Beer Evening who had an iPhone 4 to hand) the problem really is over estimated. Not one had anything bad to say about the shiny new device (it was indeed shiny and very pretty). Which begs the question why all the recent hub-bub about the lack of phone in the new iPhone? A hub-bub which resulted in £6.5 billion get wiped off the brand’s value, might I remind. 1) a problem does exist but people’s expectations of Apple products is to such a standard now that if something doesn’t work 100%, it gets ravaged. 2) It’s an iPhone – the clue is in the name. It’s a phone first and if a phone doesn’t work as it should, for whatever reason, it deserves to get ravaged. In fact US consumer magazine, Consumer Reports, has come out and said it can’t recommend the iPhone. Incidentally, Consumer Reports says it still can’t recommend the product even after Jobs & co have said they will send out bumper cases to help alleviate the signal problem – here’s why. 3) Personally I think the hub-bub massive has a point. As the above link to Apple’s earlier adverts efforts have shown, Apple wasn’t always the coolest binary unit on the block. They’ve come a long way in the branding department. Unfortunately, their PR department is still in solitary confinement (probably for talking too much). Here are the facts: the iPhone 4 was launched on the 24th of June (UK), with a known issue. When this known issue began to gain traction on the interwebs, Mr Jobs said “it’s a problem that “affects “a very small number of users,” and that the issue can be avoided by not touching the phone in that area” (Consumer Reports). Not a particularly conciliatory tone by anyone’s standards. Now they’ve fully acknowledged there’s a problem and that it should be up to them to fix it. But only until September and they can’t guarantee refunds for people who have tried to fix the issue themselves (i.e. by buying a case themselves – not attaching another antenna to their heads). What’s more, this has taken them until the 16th of July to admit this. 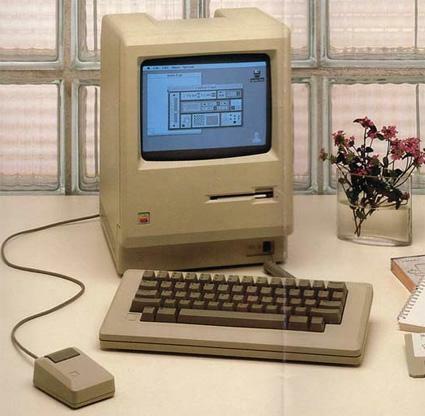 However, anyone who’s worked with an Apple for any length of time (this was my first expirience of a mac) knows that User Friendliness came in to the game pretty late on. With that in mind, this statement, which came out almost 4 weeks later, is kind of ‘on message’ for the Apple corporation. Apple has survived the binary school playground and come out as the geeky kid turned cool. Where PCs won people’s hearts for their ease of use, Macs are now winning their hearts for their design (and damn good branding and advertising campaigns). I just wonder how long people will continue to harbour this ‘unreasonable love’. If Apple aren’t more proactive with their attempts to talk to the lil’ people, they may find themselves sitting alone at lunch time once more. Personally, I’m relieved I don’t have to choose 1 avatar that sums me up forever and ever, Amen. Also, a couple of links to pretty neat photo editing web sites. PS Did I just say neat?